As we were training for the mission field, we were instructed to always be ready to preach, teach or pray on a moment’s notice. That turned out to be good advice on a recent evening in the Bahamas. 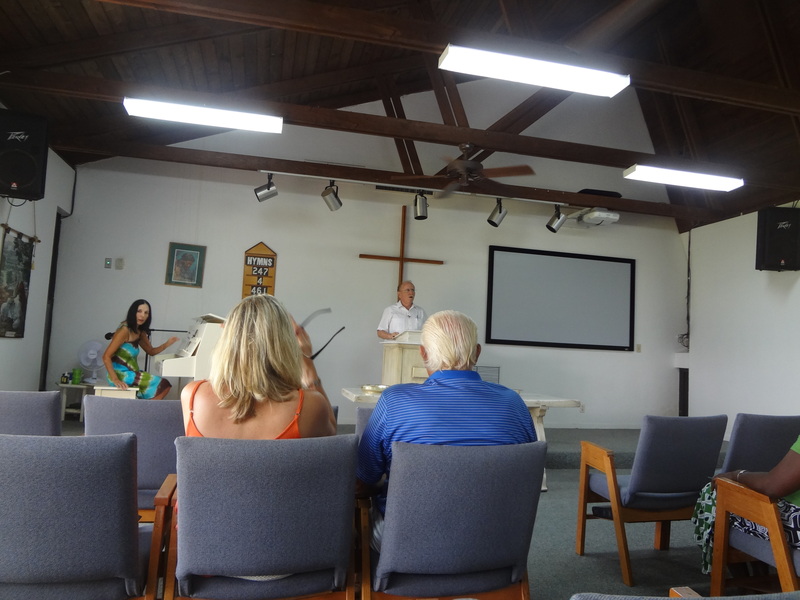 We had been invited by the man who rented us a car to attend the Wednesday evening Bible study at his church way back in the bush in the middle of Abaco island. He didn’t mention anything about teaching in his invitation, but along the sand and gravel road that led through trees with chirping birds, banana farms, scrub land and occasional squatter villages populated primarily by Haitian immigrants, he asked if I was ready to teach. Well, I had brought my Bible along! Upon arrival at a hot and humid town site, we were greeted by children, teens and adults who slowly drifted into the abandoned building that the church was using. As far as we could tell there was no electricity, certainly no air conditioning and little if any breeze. But, there were plenty of bees. Yes, bees had taken over a portion of the building two years ago (one reason it had been abandoned) and swarmed around the front and down one side. The pastor told us not to worry, the bees wouldn’t bother us. We had to trust that he knew his bees and that the Lord knew our needs. Besides, I had selected as my text Philippians 4: 6-7 (Do not be anxious about anything, but in every situation, by prayer and petition, with thanksgiving, present your requests to God. And the peace of God, which transcends all understanding, will guard your hearts and your minds in Christ Jesus). Once again it was an opportunity to live that passage as I taught it to over a dozen brothers and sisters who paid close attention, nodding their heads, and completely ignoring the bees who buzzed back and forth overhead. The evening ended with yet another spontaneous moment as the pastor called on Polly to close the service with prayer. It was good to be back in local ministry again. And the setting, the warmth of the people, their hunger to learn and pray and their desire to know and serve the Lord reminded us of so many other locations where we have served and worshipped in unusual, out-of-the-way places. I thought back to the first church where I preached, East Mountain View Presbyterian Church at Walland, Tennessee. It was made up of mountain folk who raised their own food and drank water piped in through hollowed-out tree limbs which brought it from a mountain stream. They worshipped in a small wooden building beset not by bees but huge wasps that one person or another would kill from time to time by smashing them with a hymn book right in the middle of a sermon. Good folks with a love for the Lord and a desire to know Him better. Then there was the church in the Andes Mountains of Ecuador where we were asked to arrive early so they could sound a siren which would notify parishioners two hours away by foot that they should start the long trip down the valleys and across the rivers. The church filled up each time we were there, and we knew that when the movie we went to project was over, those dedicated folks would need to hike the two hours back in the dark of night. We didn’t always show films in church buildings. More often than not they were projected onto a sheet strung across a street with people standing on both sides of the “screen” to watch the Jesus film (which, by the way, we have seen numerous times, but never in English—always in Spanish). Other times we would set up in a public park or on a street corner. Perhaps a parishioner would open his or her home. One night we assembled with people in an upstairs room above a garage/gas station. We’ll never forget the Christmas film we showed in an auto repair lot in a large, poor urban neighborhood of Quito. Food was served, people came and went, children played during the evening, babies cried, roosters crowed and we felt that in those humble surroundings, we had been closer to the “setting” of the birth of Jesus than ever before. And, we’ll always remember the night we showed the Jesus film in Atacucho, a desperately poor squatter town set high up the mountain in Quito at nearly 10,000 feet (1,000 feet higher than the city). It was cold, very cold. But people came anyhow, wrapped in sweaters yet children in bare feet and torn T-shirts, running, playing, watching the Jesus film and hearing a message from a local pastor. That evening launched a major ministry there, starting a clinic, providing Sunday school teacher training, initiating a women’s Bible study and other forms of outreach in Quito’s poorest neighborhood. It is those kinds of worship, teaching and evangelistic experiences that we treasure. That’s why we so much enjoyed teaching the people recently in the Bahamas, singing with them in a mixture of English and Haitian Creole, praying for and with them, answering their questions, presenting the Gospel, and, oh yes, dodging the bees. One final note: The admonition to always be prepared to preach, teach or pray doesn’t just apply to those of us who are missionaries. It applies to everyone, you and me. In 1 Peter 3:15 we read: …in your hearts revere Christ as Lord. Always be prepared to give an answer to everyone who asks you to give the reason for the hope that you have. But do this with gentleness and respect…. Those words are a challenge and a call to faithfulness for each of us who claim the name Christian. We recently learned that the number of Americans who affirm they are Christian has dropped over the past eight years from 79% of the population to 71%. To be truthful, in this context I’m not sure what it means to say a person is a Christian. After all, for many, defining themselves as a Christian (or any other faith for that matter) is more a cultural or inheritance issue than one that involves actual faith or a system of theological belief. Just look at how the selecting of a church to attend or denomination with which to affiliate has changed over the past half-century. I remember a time when people chose a church based on which congregation or tradition they grew up in. If you grew up Presbyterian, you remained Presbyterian. If you were born a Roman Catholic, you most-likely were buried as a Roman Catholic. If you were a Baptist and married a Methodist, you chose from one or the other. Then, we moved beyond that family/cultural tradition to select our church by other criteria. For a time, people chose a church by what it offered—a good youth program for their children, a strong choir in which they could sing, a fellowship that offered friendship and social activities. From there, we started to pick and choose by stylistic standards. Was the church conservative or liberal, progressive or traditional, charismatic or liturgically formal? As we describe ourselves as Christians, I wish we would do so because of what we believe, or more particularly, because of what we know God has done for us in Jesus Christ. Being a Christian, after all, isn’t a matter of tradition or family, though those contribute. It isn’t a matter of where we grew up, or what sounds familiar, though those play a part. It isn’t a matter of what society says or what is most appropriate in the community, though those have an influence. It’s a process of asking and answering those cosmic questions that each person has and dealing with those ultimate issues of purpose and vision and eternity. It’s coming to an understanding that behind our world, our creation, there is a creator-God who has a purpose for us. It’s coming to grips with who we are in the larger scheme of things and our place in this sometimes bewildering life and universe. It’s struggling with questions of meaning, purpose, identity, truth and eternity. It’s a matter of knowing who it is that our faith identity is named after—Jesus Christ—and where He came from and what He does for us. No matter the denominational name, or lack of it. No matter the sports programs, special events and egg hunts. No matter the gimmicks that are used to get us in. No matter whether it’s a magnificent pipe organ or a fantastic rock band. What matters is that each of us, in our minds and hearts, have to answer those cosmic questions and discover the truth which is ours from God through Jesus Christ. We do that best where profound, biblical preaching is offered, significant teaching about Bible truth happens regularly and biblical guidance leads us along the path through the theological maze of our time. It’s when we seek and find that “Wholly Other,” the God who revealed himself to us through Jesus Christ, that we can answer those ultimate questions and, incidentally, choose the church that is right for us. Please feel free to leave comments on this site. To receive notification of future posts, please click on the “follow” button at the top of this page or write to missionaryjournalist (at) gmail (dot) com. You, dear reader, are undoubtedly guilty of what I’m about to describe. As we prepared to travel here to the Bahamas where I am serving as the supply pastor of the Treasure Cay Community Church on Abaco, we saw the same reaction in almost everyone who we told—especially when we mentioned that the Treasure Cay beach is rated as the most beautiful in the Caribbean if not the world. If you think this is tough, consider the sequel. When we leave here in early June, after a few days back in Carrollton, we’ll be on our way to serve an interim pastorate in San Pedro Sula, Honduras. Yes, that San Pedro Sula–the city with the highest per-capita murder rate in the world. Now, that is a tough place, but somebody definitely has to do it. The reaction is quite different. No smirk, no funny phrase. Just a furrowed brow and the question, why, after being at such a beautiful, relaxing place as the Bahamas would you go on to Honduras? Because, as the song says, people need the Lord. 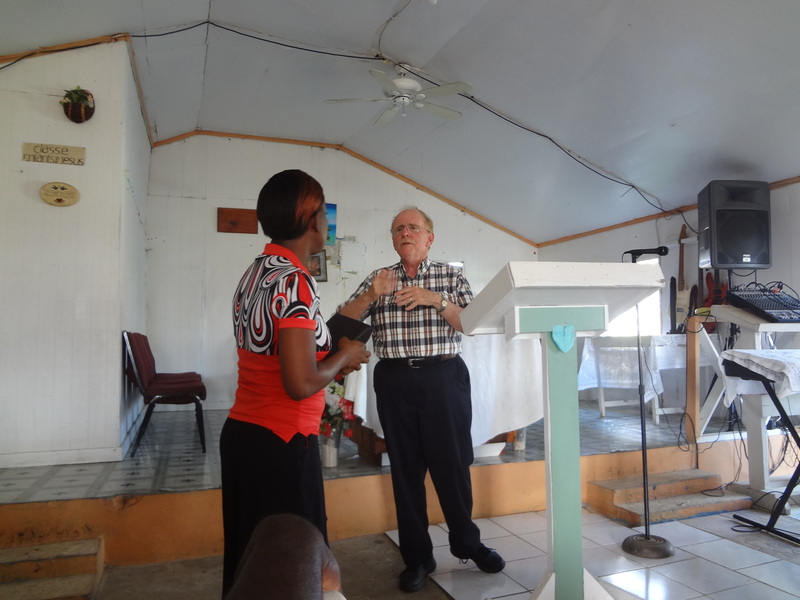 Because, just as in the Bahamas, people in the expat church in Honduras need pastoral care, to hear the Gospel preached, desire a closer walk with the Lord and want encouragement and hope that the Gospel proclaims. Because the Lord has called us—to both places, the beaches of the Bahamas and the rough and tumble second-largest city of Honduras. And we have responded. We know that we don’t always have the option of picking and choosing when God calls us somewhere to serve. He may call us to a paradise or to a Latin American community with tremendous needs. So, God calls, and we go. Not only that, we have been there before. 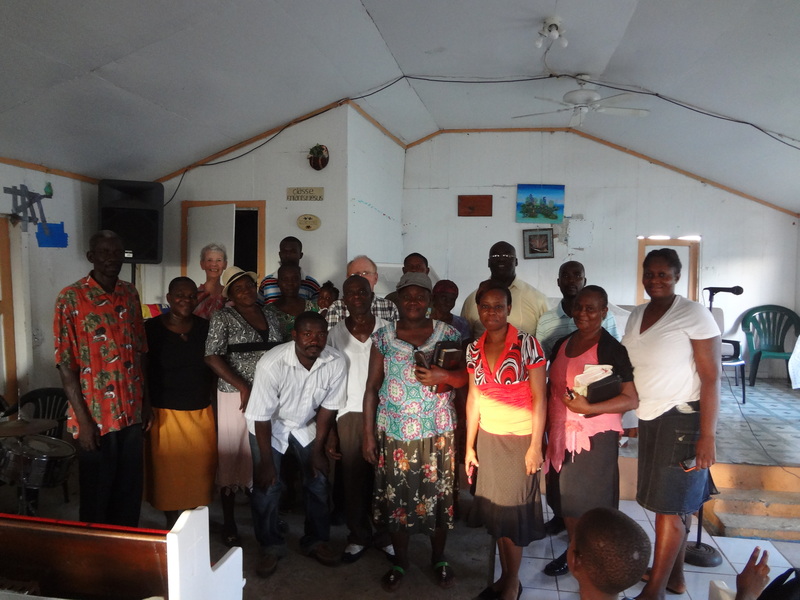 About ten years ago we served this same church in Honduras with much joy and encouragement. You see, the measure of a church isn’t the location, the safety or lack thereof, the building or the reward. The measure of a church is it’s oneness in Christ. We experienced that in San Pedro Sula the last time and fully anticipate celebrating our oneness with Christ with our fellow believers who make up the International Christian Fellowship.